Happy Friday loves! 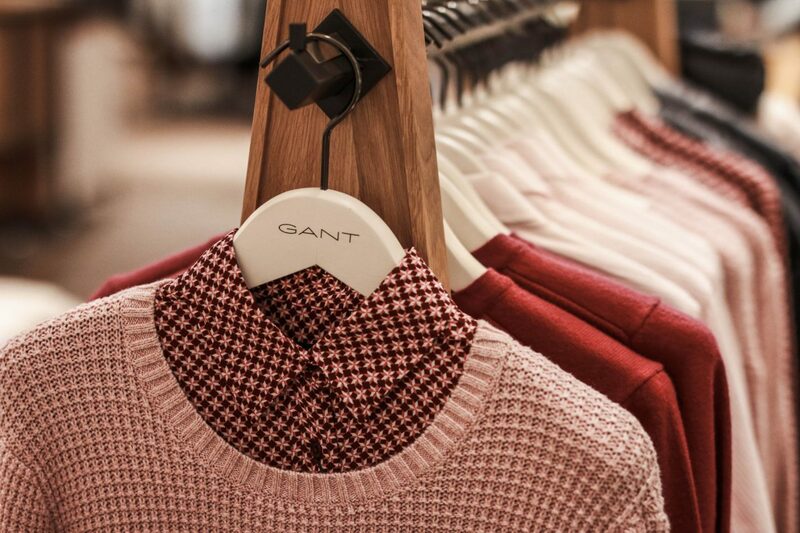 The end of the week has come and with that I wanted to share the last bit of our store tour with Gant. We travelled to Mannheim last week to visit the last stop on our tour through Germany. Firstly we had a really pleasant flight that went by so quick and not to mention the amazing service on board. We really enjoyed it and arrived well rested in Mannheim to visit the last store located in the Stadtquatier Q6 Q7. 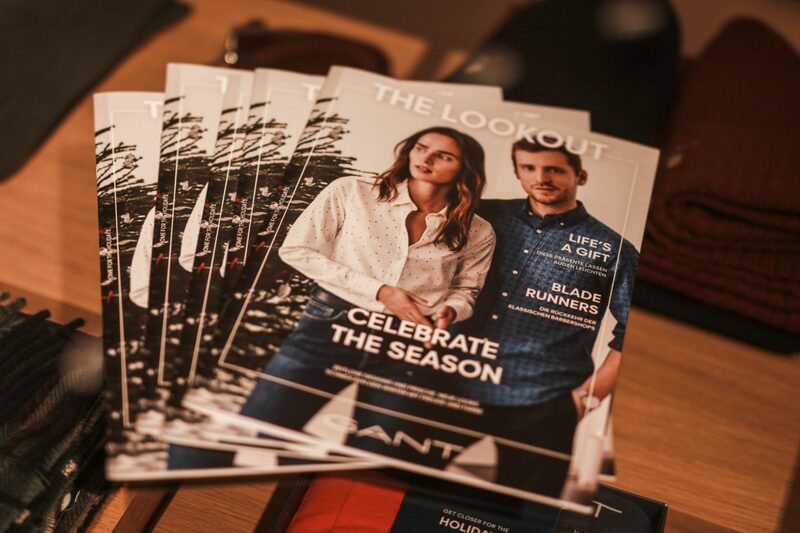 We had so much fun browsing the collections again and were first and foremost looking for winter attire this time. Apart from the main line Gant, this store also offers an extensive selection of the Gant Diamond G line, another on of my favourites. 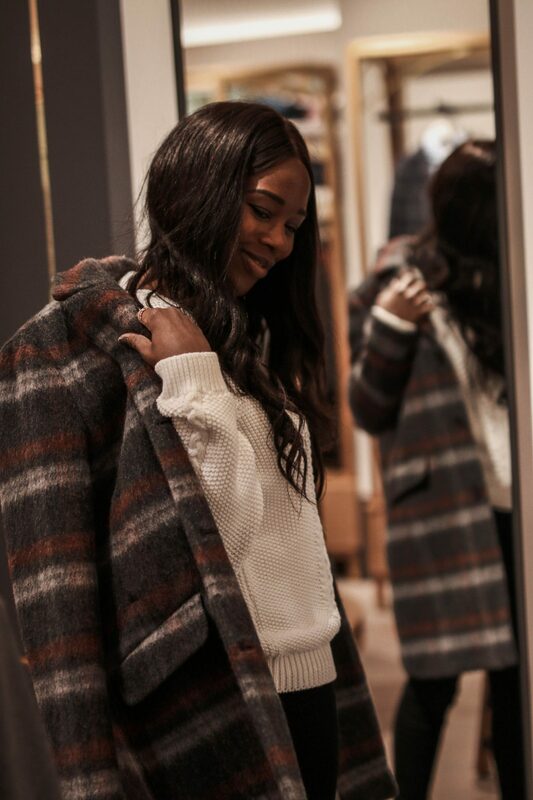 I instantly fell in love with today’s super cozy coat from the Gant line which I really liked because of the checked pattern and soft fabric. 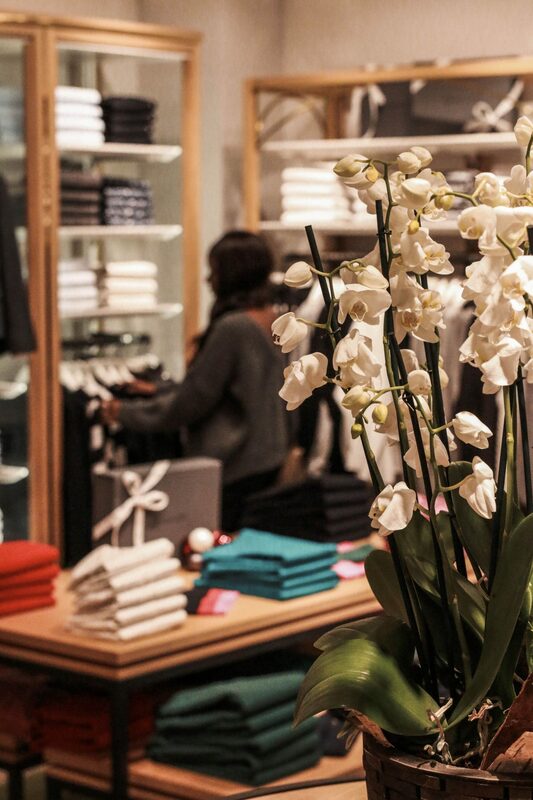 Before telling you more about my look let’s take some time to appreciate this store’s fresh and modern interior. 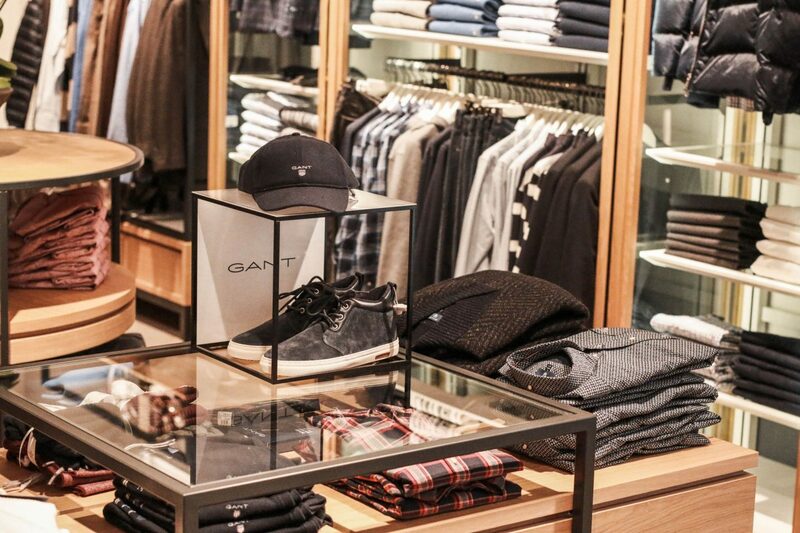 It’s inspired by Scandinavian Design other than a few other stores that still feature the iconic East Coast Style Gant is known for. 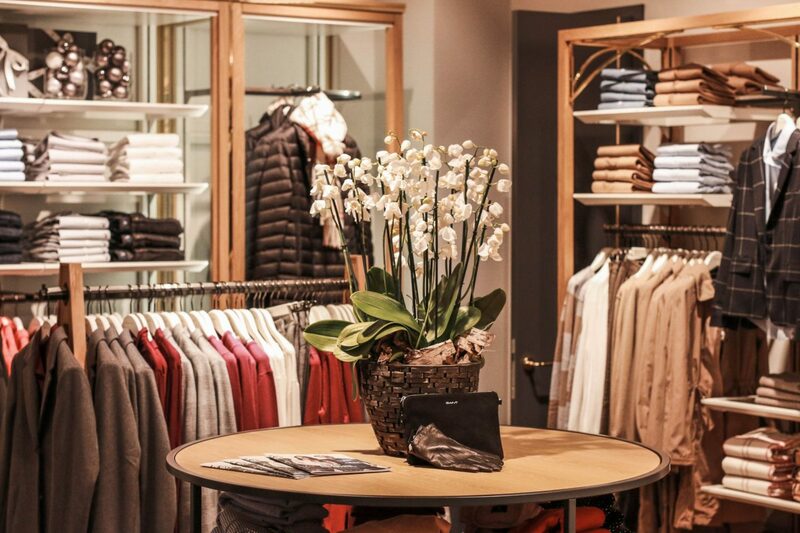 This store prides itself with a modern and clean interior boasting of a lot of Glas, light wood and edge Stahlelemente. 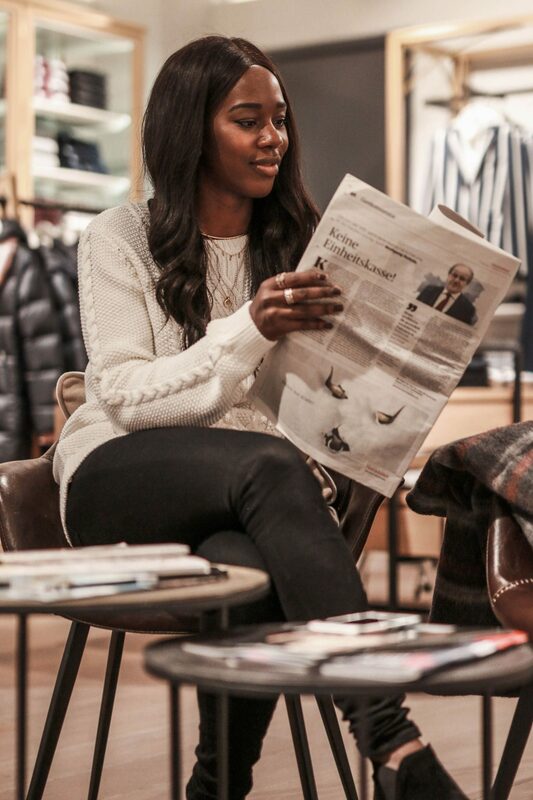 I especially liked the super cool and sleek new chairs and the fact that you could enjoy an espresso in the middle of the shop floor while reading the newspaper. A nice way to relax in between shopping madness don’t you think? Finally the store ist just super open and welcoming and despite the new interior design. 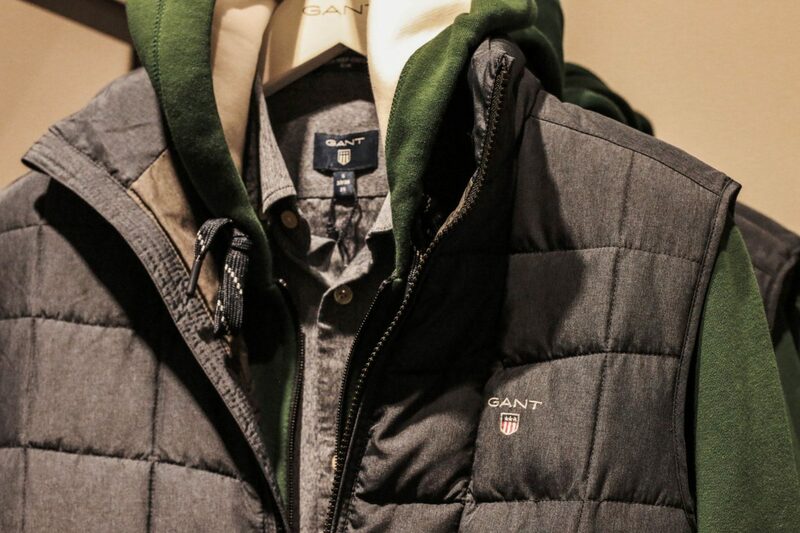 It’s feels like Home which is one aspect I really appreciate about all Gant stores. We really had a great day and also love the look we could create in Mannheim. 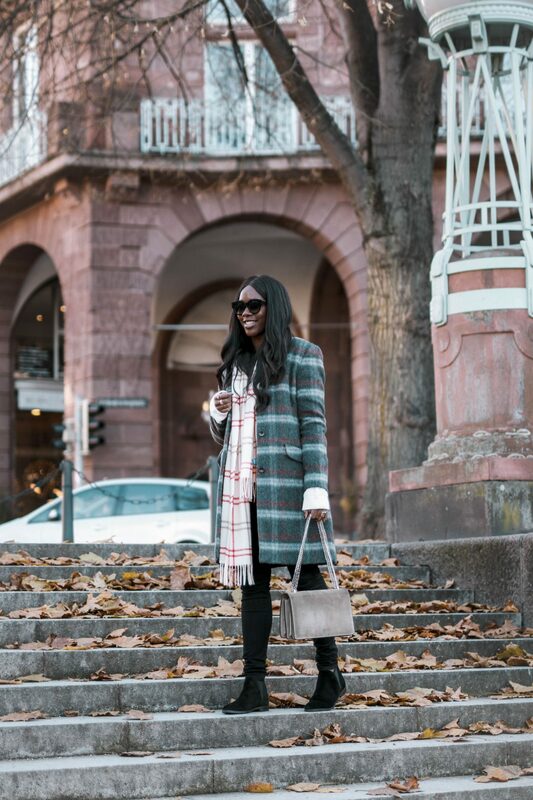 This time we put together a cozy and comfy winter look consisting of the lovely checked coat and a white thick jumper. I paired these two highlights with a simple black jeans and the coolest leather ankle boots. These are not only so comfortable but can easily be styled with jeans, dresses or skirts. An allrounder if you know what I mean! 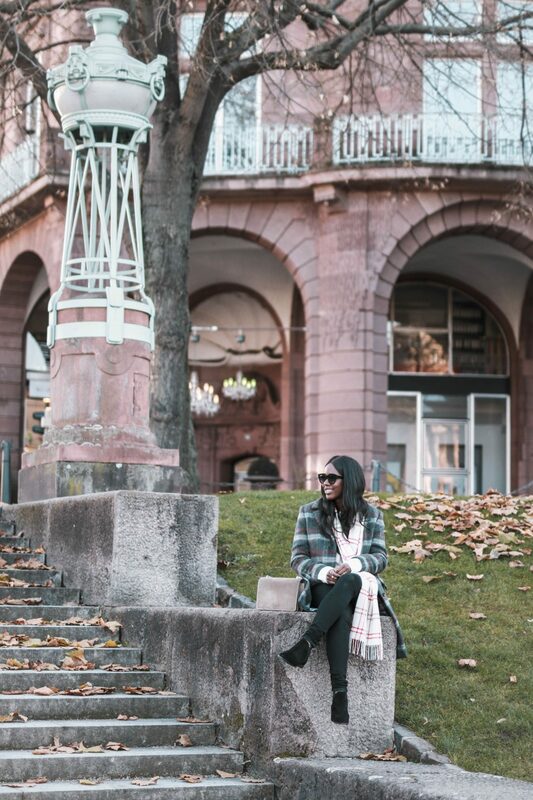 Finally I decided to add a cute checked scarf to complete my cozy winter outfit. How do you like my look? 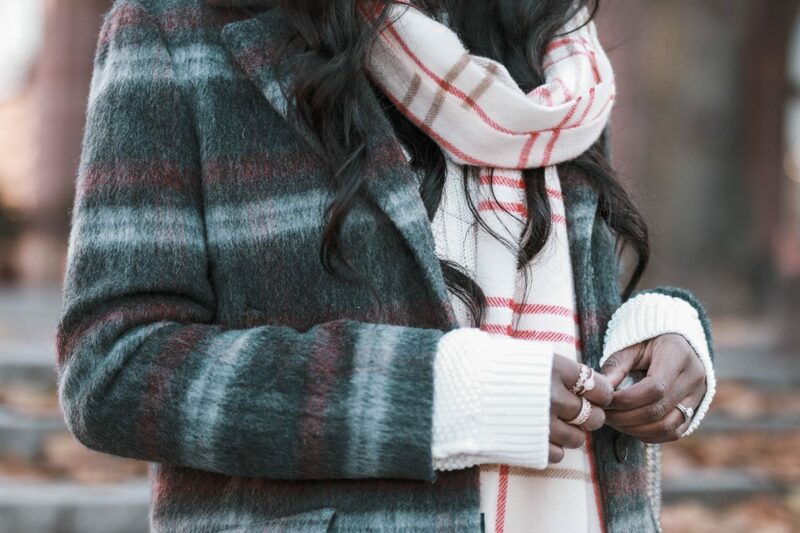 What’s your go to winter look? DE: Happy Friday ihr Lieben! Zum Ende Ende Woche teile ich den heutigen Artikel mit einem weinenden und einem lachenden Auge. 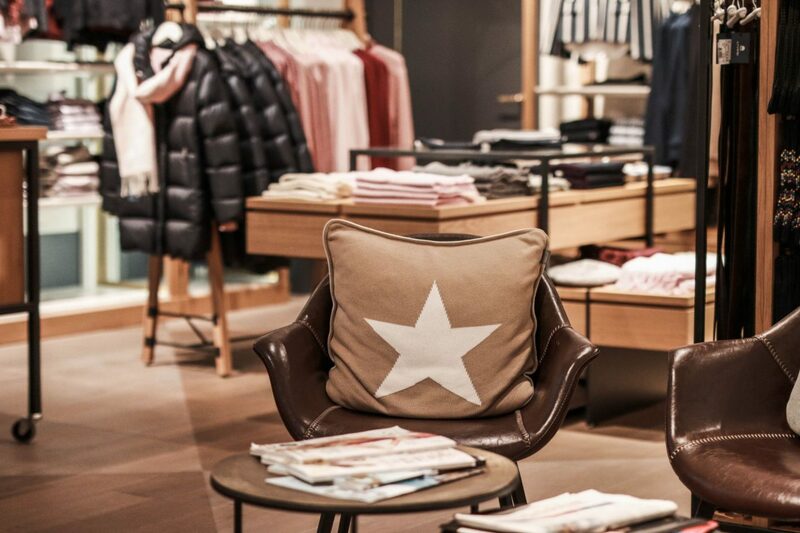 Unsere Store Tour mit Gant durch Deutschland, die im Mai begann schlossen wir letzte Woche mit unserer Reise nach Mannheim ab. Ein weiterer super cooler Store der sich im Mannheimer Stadtquartier Q6 Q7 befindet, stand auf unserer Agenda. Der Tag begann super, denn unser Flug nach Mannheim war so angenehm. Alles ging super schnell und auch der Service im Flieger war einfach 1 A. Im Gant Store angekommen schauten wir uns wie üblich die tollen Kollektionen an und waren dieses Mal natürlich vor allem auf die Winterteile gespannt. Neben der Hauptlinie Gant, kann hier auch die Diamond G Kollektion geshoppt werden. 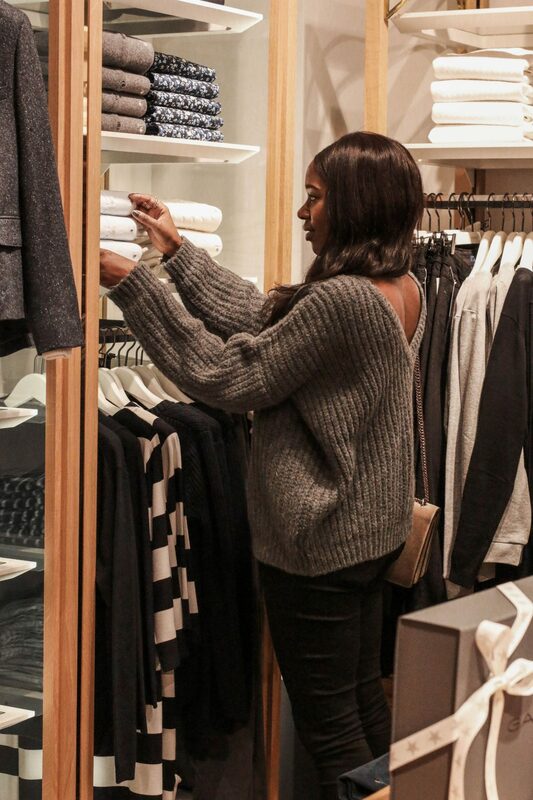 So stürzte ich mich gleich auf die Womenswear Kollektionen und verliebte mich kurzerhand in den tollen Mantel, welchen ich im heutigen Post trage. Zum Outfit aber gleich mehr. Erst einmal möchte ich euch das tolle Interieur-Konzept vorstellen. 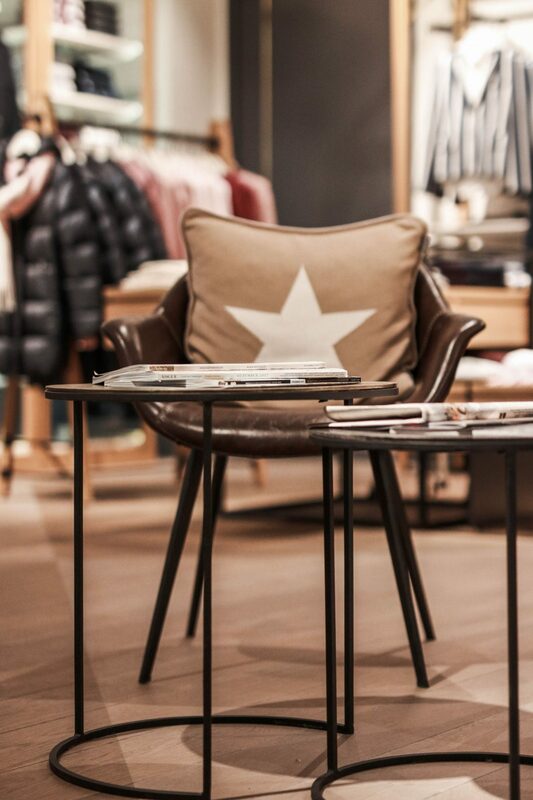 Dieser Store ist nämlich inspiriert vom Scandinavian Design. Der ikonische East Coast Look der amerikanischen Brand ist hier eher nicht aufzufinden, was ich sehr erfrischend finde. In diesem Store kommen daher viel Glas, helle Hölzer und edgy Stahlelemente zum Einsatz. Mir gefielen vor allem auch die tollen Stühle, welche die bekannten Clubsessel ersetzten, die man zum Beispiel im Store in Berlin noch findet. Dort konnte ich zwischen der Shoppingtour auch super entspannen und bei einem leckeren Espresso einen Blick in die Zeitung werfen. Alles in allem wirkt der Store sehr offen und immer noch einladend und heimisch, wofür ich Gant ja sehr schätze. Wir hatten wirklich einen tollen Tag dort und konnten wieder einen schönen Look für euch fotografieren. 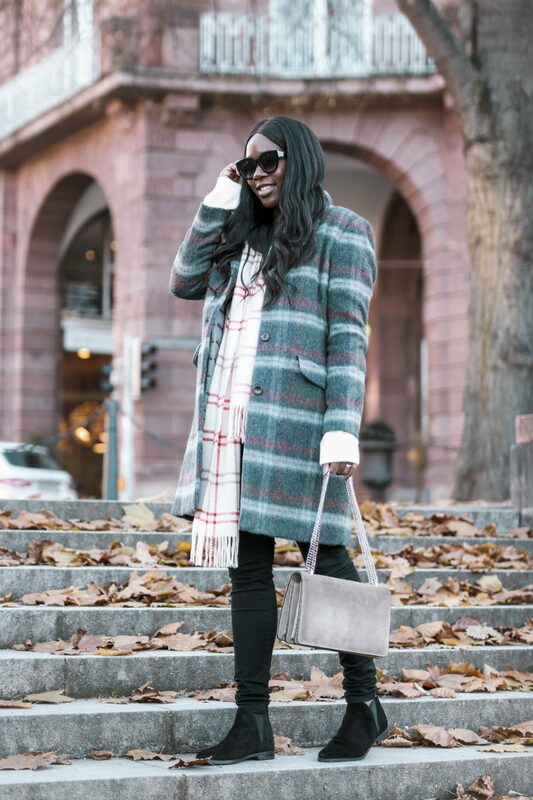 Dieses Mal wollte ich ein schönes Winteroutfit zusammenstellen. Neben dem wirklich kuscheligen Mantel, wählte ich also einen Grobstrickpullover, immerhin möchte ich im Winter schön warm bleiben. Dazu stylte ich eine schlichte schwarze Hose und die wohl coolsten Gant Stiefeletten aus Wildleder. Super bequem sind die und passen sowohl zur Jeans auch auch zum Kleid oder Rock. 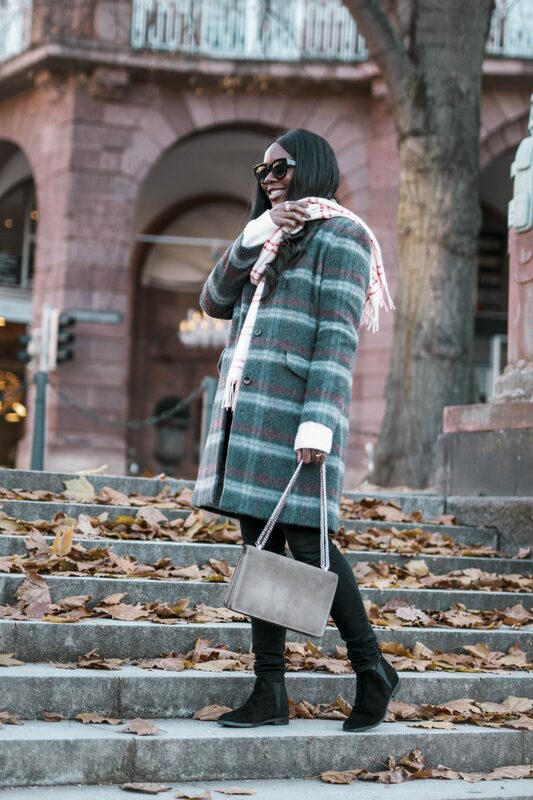 Zu guter letzt suchte ich mir auch einen weichen und hellen Schal und mein kuscheliges Winteroutfit war komplett. Wie gefällt er euch? 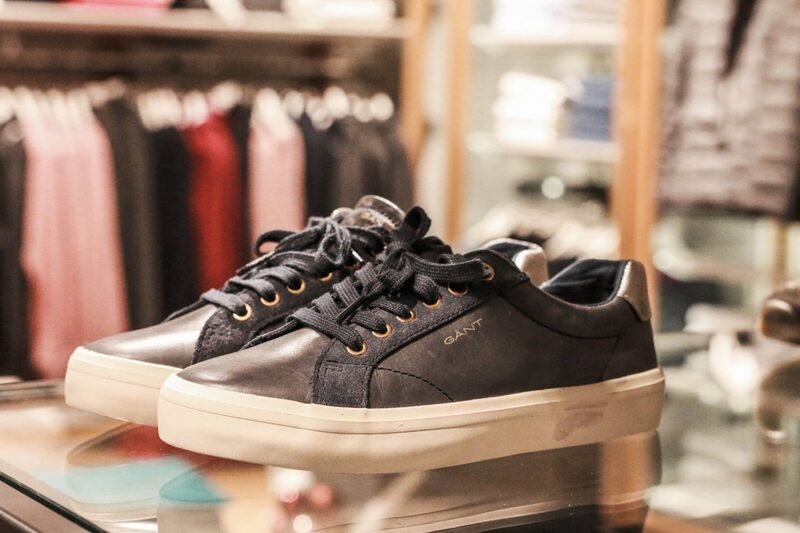 In collaboration with GANT. Styling, photography and opinions my own.